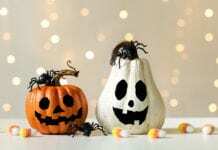 Home Lifestyle Health and Fitness Halloween Trick and No Treat? Halloween Trick and No Treat? You didn’t really think I’d support eating the sweets did you? Nope, not even for one of the ‘sweetest’ holidays of the year. You have to stay persistent at being consistent. Once again (can you hear the broken record?) it’s all about moderation and allowance. You are surely not going to eat an entire basket of treats like you did when you were a kid (at least I hope not)? If only we had the metabolism of those youngsters huh? But, even back then we couldn’t’ win. We don’t want to eat all that candy now because of their sugary fat-laden effects, and as a kid we weren’t ‘allowed’ or supposed to eat all that candy because it was bad for our teeth! So what do we do now? We ALL KNOW that the sweets are gonna show up eventually at work and on our unit. If it doesn’t happen during the next week or so, you’ll definitely see the ‘left-over’ effect. How does one resist all that candy?! Here are my tips for allowing yourself some indulgence without suffering the guilt that follows. Yes, portion control. I don’t care what you decide to devour, just be sure it can only fit in your hand. No, balancing 10 cookies on your hand (or plate) does not count. Taking only a handful satisfies your craving while restricting and preventing the ‘over-do’. Why does everyone put the candy in the middle of the nurses station? I mean seriously?! Is it some voodoo Jedi-mind-trick to see who caves in first, and then who caves in the most? It’s like some sort of contest. Eliminate the contest, and eliminate the probable possibility of grazing at that stuff all day (you know you’ve done it before). Take your handful and then remove it from your line of sight. And I’m not just talking about tucking it in the corner, remove it from the room all together! Put it in the lounge, the break room, the kitchen, etc. Heck- put it in the bathroom for all I care, just get it out of your way! Say it with me, pre-plan. Start gathering your own ‘sweets’ in the form of fruits, vegetables, low-fat dip, yogurt, etc. and take it to work! 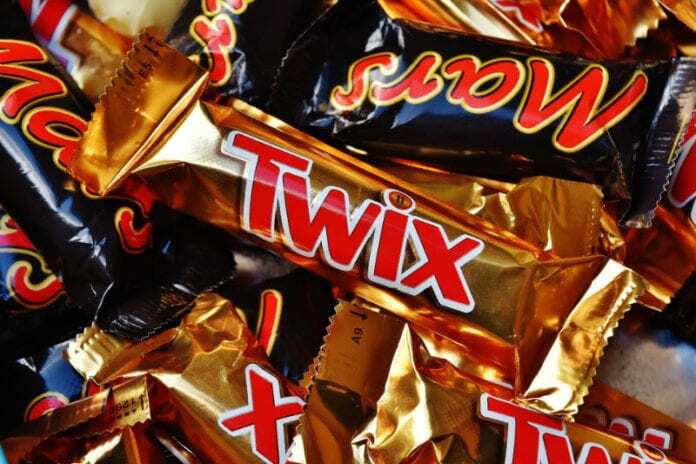 If you really have a craving even after you’ve devoured your handful – go get your own sweets! Most of the time, your sweet-tooth craving is purely situational and in the moment. Once you walk away from the temptation and go for your own food – you’d be amazed at how hungry you weren’t! This is still the oldest and most effective trick in the book. Drink / guzzle/ slurp up an entire 8 or 16oz glass of cold water. Down the whole thing, no stopping. If you still want/ need/ desire that certain sweet after your stomach is bloated and your teeth are swimming, by all means go for it. I will warn you – that sweet swirling around in your watered down gut doesn’t usually feel too good. In the end, you need to pre-plan, prepare, recruit help from your fellow co-workers and come up with an plan of attack. There is definite strength in numbers, and having the support of just one extra person makes the sweet-struggle that much easier. Remember discipline is about what you want now, and what you want most. What do you want most, the sweet, or to lose the weight. What do you want most, the candy, or to increase your wellness. To replay my broken record, it’s always a choice, your choice – no one else but your own. Happy Halloween and best of luck out there! Share your thoughts in the comments section below.